This event is an opportunity for all conveyancing practitioners to get together and meet in a less formal setting with these officers to foster a more cordial working relationship with the said government agencies involved in Conveyancing practice. 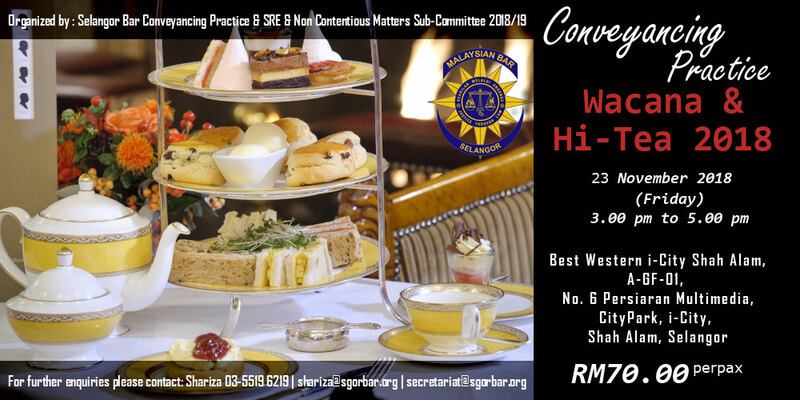 The Sub-Committee is looking forward to presence and participation of Conveyancing practitioners at this up-coming "Wacana" & Hi-Tea 2018. 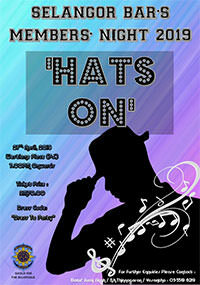 Places are limited to 80 participants, so please book your place now to avoid disappointment. For further information and tickets, please contact Shariza at the Selangor Bar Secretariat 03-5519 6219 or email at: [email protected] or [email protected] or fax: to 03-5519 9037. (2) Name of Law Firm.